Clump #40: Tackle piles in sad, bad room. Clump number 40. Brings to mind biblical 40 days and 40 nights. Today I felt like I was crawling through a desert. I gave myself the assignment of starting in on the contents of a room that used to be a study. Beyond just cluttered, it’s become a room filled with sadness and self-recrimination. A room where I stashed many of my father’s possessions after getting through his funeral last August, it went on to become a general stashing place. We really should feel more shame in instructing guests not to look through the glass doors as they enter our house. Very much like “Pay no attention to that man behind the curtain,” in The Wizard of Oz. Our secret flaws revealed … right out in the open. 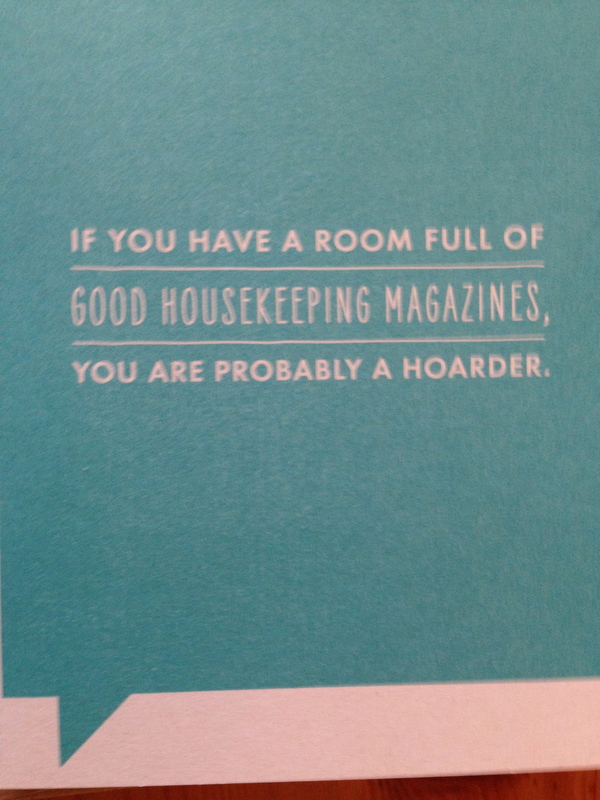 I immediately thought, I’m not a hoarder! 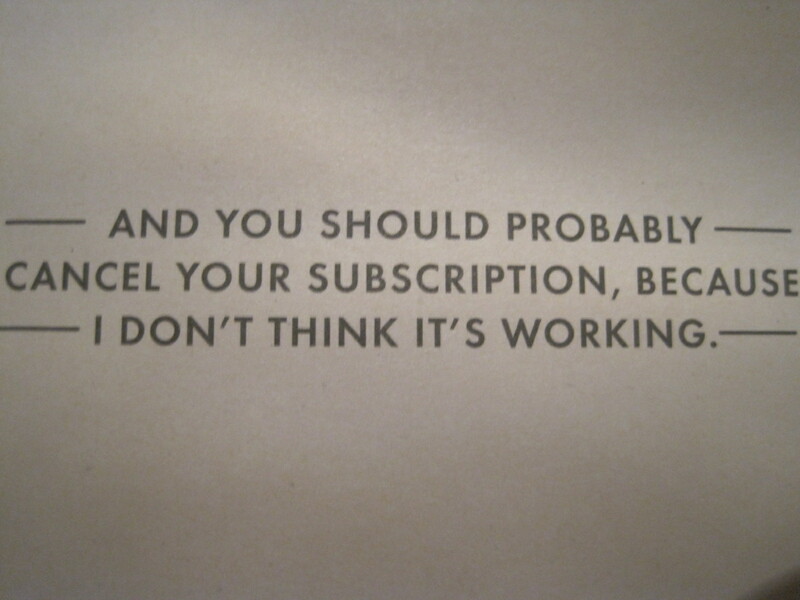 But I opened the card and had to laugh out loud. That’s me! 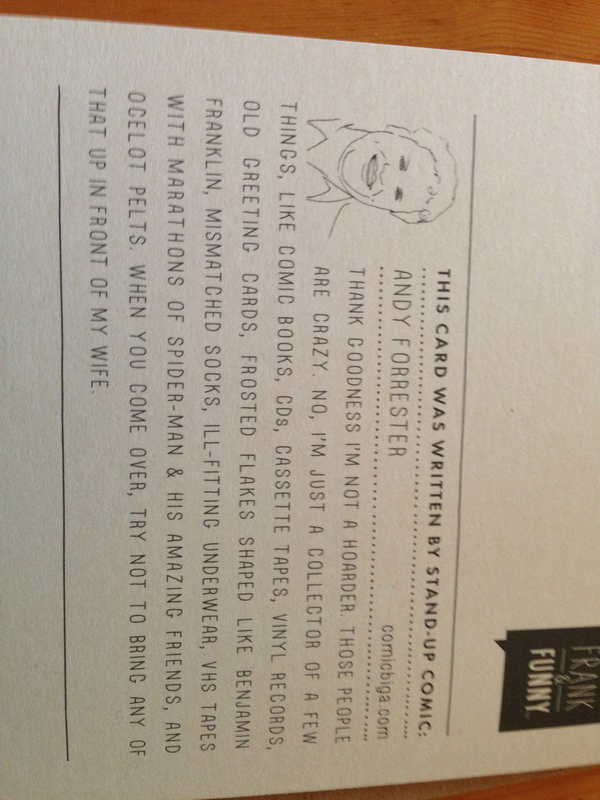 The card is from a line called Frank & Funny, written by comedians. You can see all of them at frankandfunny.com. 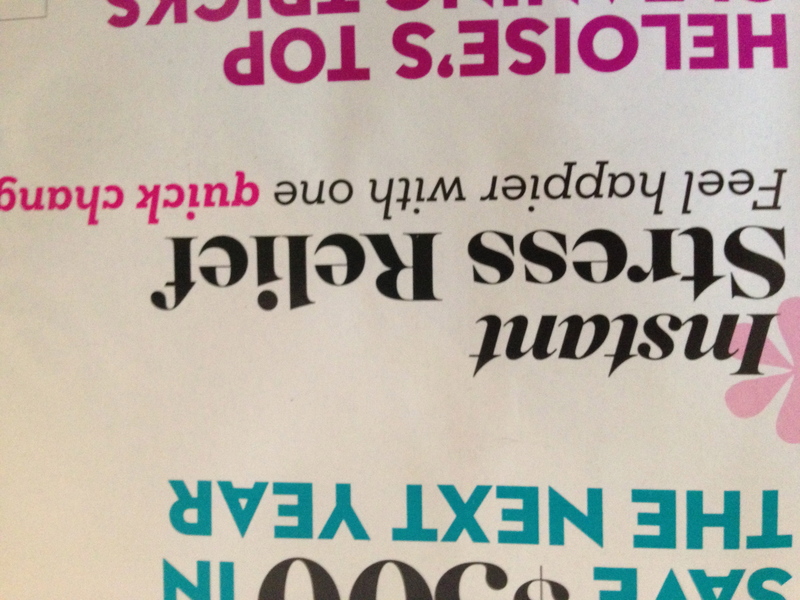 This one was written by Andy Forrester … a kindred spirit! I imagined myself paging through each magazine, keeping whatever article or pearls of wisdom I knew must be saved. But a strange thing happened. I felt increasingly physically sick at the mere thought. It occurred to me, first, that nothing in those magazines is more important than my health and well-being. Second, that if I hadn’t subscribed and received them in the mail, I wouldn’t have thought a thing about what I was missing in them. Third, there is a wealth of information in magazines and books in the library and in the world. I don’t expect I will be able to retrieve and retain every bit for my use. Fourth, I was making these points on the phone with my older daughter, and she gave me the great insight that I was not trusting that the wisdom I might need would come to me in a different way or form. Wow. So I threw them into bags for recycling with great abandon and relief. 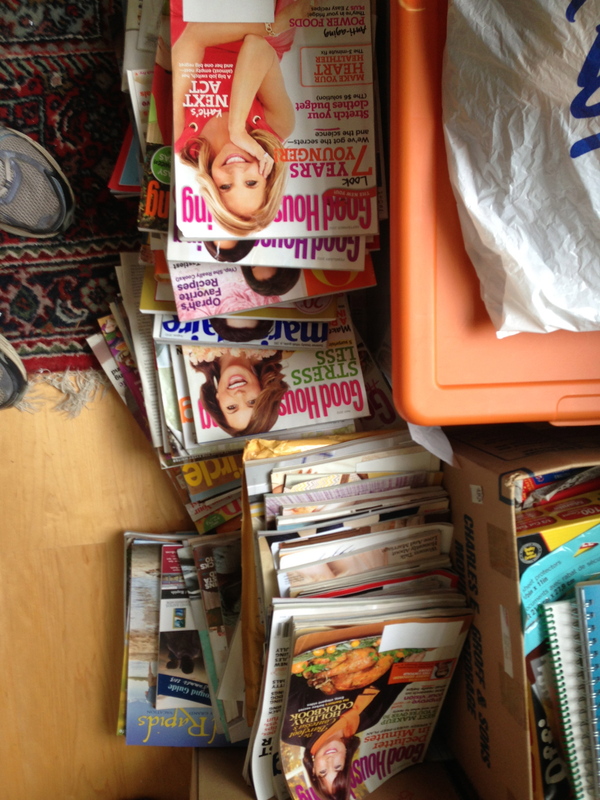 As I tossed them in, I’d look at the headlines and, in my head, add variations on the words, “when you toss out your magazines.” For example, “Declutter in Minutes” by tossing out your magazines! “Instant Stress Relief” when you toss out your magazines! 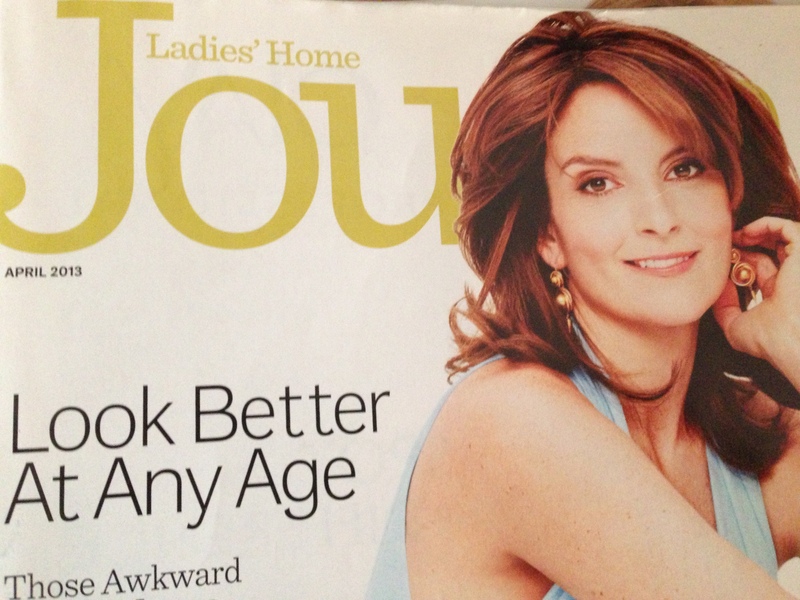 “Look Better At Any Age” by tossing out your magazines. You get the idea. It turns out, like Dorothy, I had the power all along. 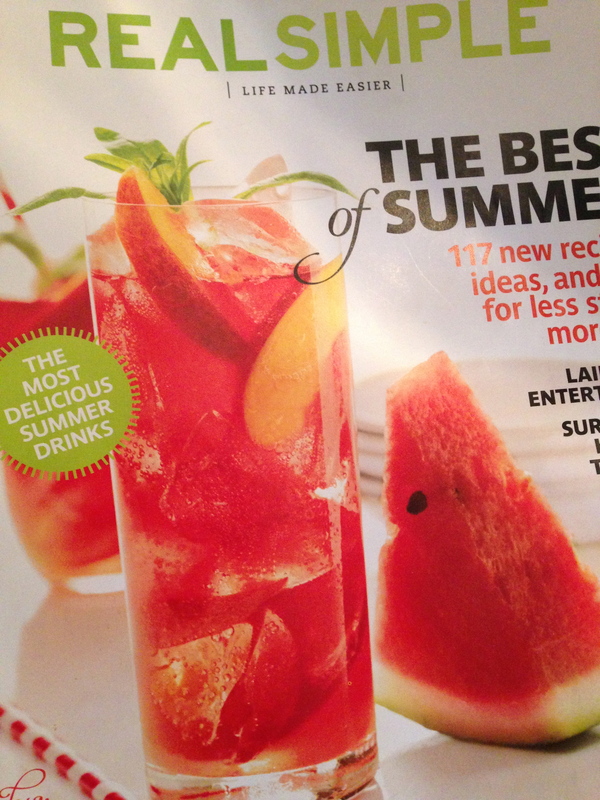 The only page I kept was this picture of a wonderful summer drink. I made it for my younger daughter’s high school graduation party. It was refreshing and yummy. Now I will be able to find it and make it again. Total Time: 5 minutes; Serves 4 Also: delicious without booze! In a large pitcher, combine 2 cups ginger ale, 1 cup iced hibiscus tea (such as Red Zinger), 1/2 cup rum, (optional), and 1 sliced peach. Serve over ice. Garnish with fresh tarragon sprigs. The fresh tarragon sprigs made a real difference. Cheers! 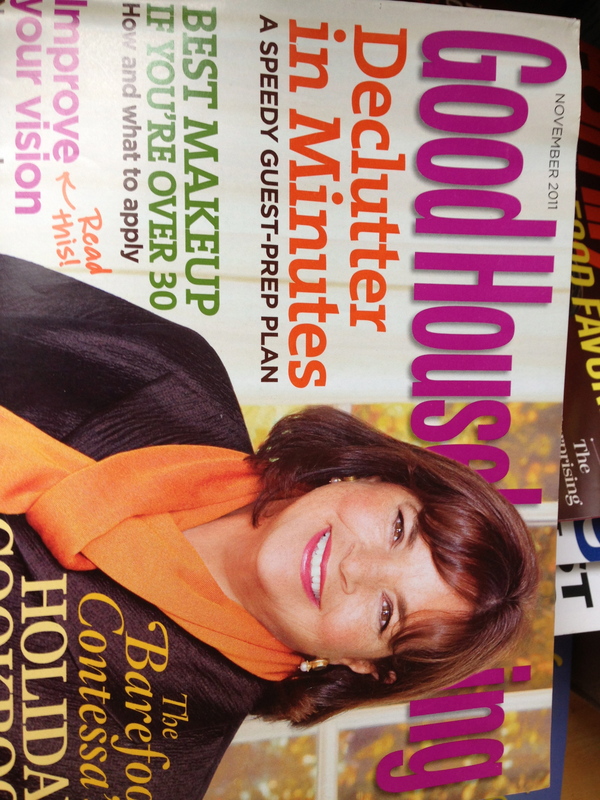 I laughed out loud at the mantra ‘by throwing out your magazines’. Perfect!